Great product with a striking design to help visibility. Good distance and colour patter helps putting alignment. 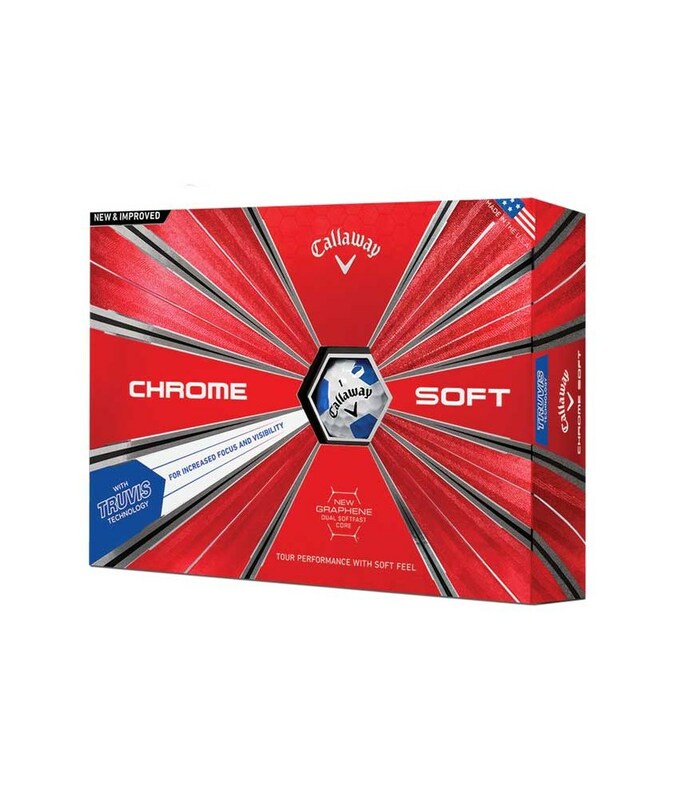 I love the chrome soft and the newer model is no different. 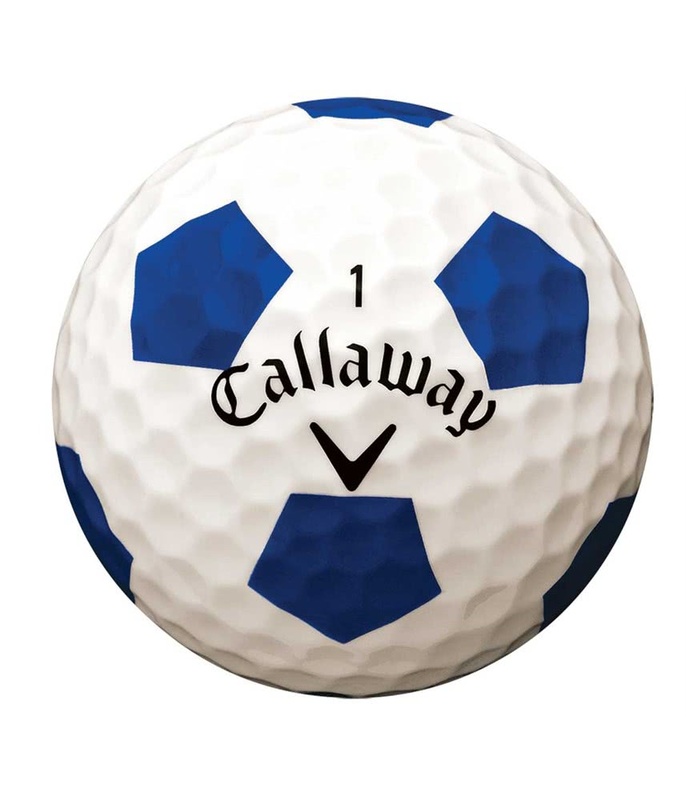 It still feels great, and truvis is brilliant. 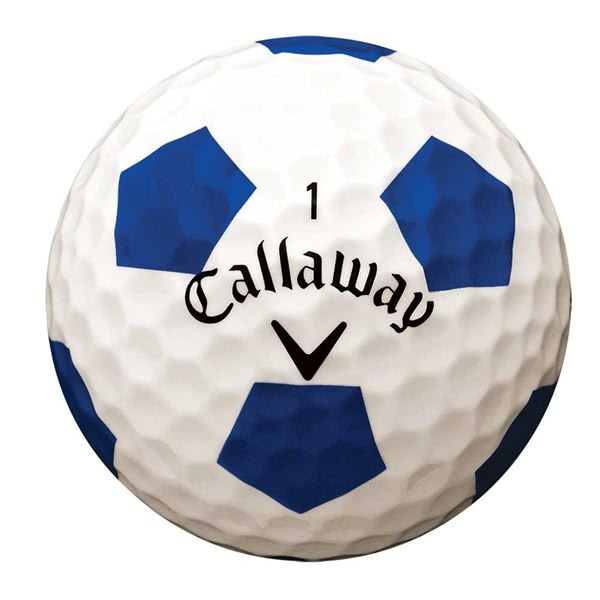 I love the blue/white truvis although I am not convinced it is as easy to see at a distance compared to red/white. I cant say I have noticed additional ballspeed, not sure the graphene is making any difference! 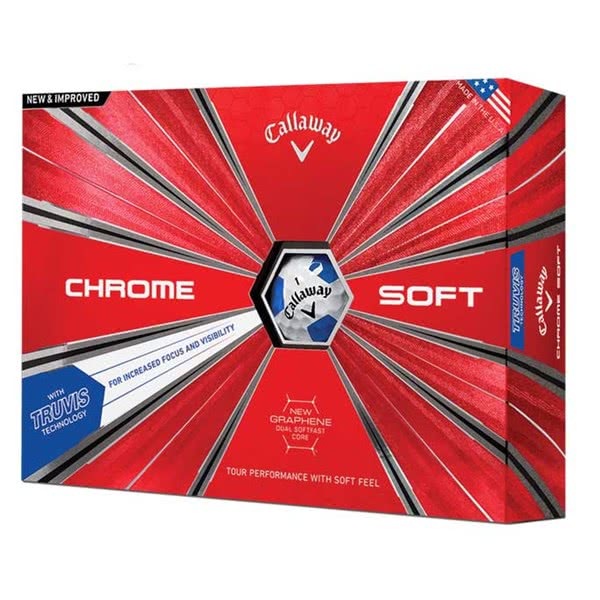 The Callaway Chrome Soft Truvis Blue Golf Ball features the new Graphene Dual Soft Core technology that will make it react with each club for improved all round performance.